Episode starts with Unser and his medical marijuana as he gets pulled out of his trailer by some goons. Poor Unser can he catch a break, isn’t the cancer enough. Tig lets Jax know that something is going down with Clay with Pope’s people. Tig wonders if he was set up with Pope’s people. Cops are taking in Niro’s car in connection to the dead chick. It’s a shame that he was set up like that by the US Marshall. 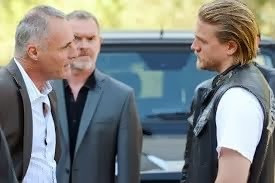 Jax speaks to Pope Jr. and he is surprised that Tig is alive and Clay has protection inside. Looks like Pope Jr. wants in on the gun business. Gemma is the one that finds Unser with his body all carved up. Unser does not really know who they were but Tara saves the day by stitching him up. They are looking at the Nazis. 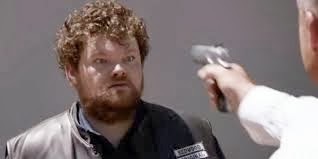 Another charter stops by to let him know that they are turning down the gun deal and Jax finds out about the dead girl. Geez the hits keep coming for Jax. Unser brings up a great point about how the kids could have been there and Gemma yells out that they are her kids. It makes Tara look at her like she is crazy. Wendy is playing a game and lets Gemma know that Tara drew up some more papers. Wendy is playing Gemma about her concerns for the boys. Turns out that Wendy is working for Tara. 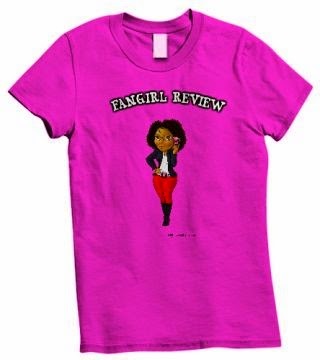 This is beyond awesome. Chibs has a talk with Jax about him making some big decisions without bringing it to the table. 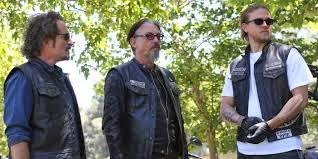 Jax points out that he is trying to save the MC from themselves and Chibs calls him a Clay Jr. US Marshall is talking to the DA about the dead girl and she points out he needs to flip Clay as soon as possible. He brings him to see Otto and he slips him a shank. I wonder if Otto will kill himself or someone else. Niro is being interviewed by the sheriff and points out the craziness of the US Marshall. I still cringe thinking about what he did to those guys' teeth. The crew pays a visit to Darby for info. Darby does give him the intel about the Nazis. Darby does not want to be involved in any shape or form but the threat is there so he knows he has to help the MC. Tig has to infiltrate the Nazis, this should be funny. He tries to do a southern accent but it is horrible. Of coarse they find Juice and Darby. Things go south for a minute and they kidnap the bad guys to help make a smooth exit. Jax has to deal with those Irish jerks. Jax refuses the guns. Small fight but Jax is standing strong that he does not want the guns. The sheriff sees the evidence of the dead chick and knows that something is off and requests the US Marshall’s file. Despite the shadiness of this sheriff, he is smart and that is good. The Irish kill Phil like its nothing at the warehouse. They are starting something that will have ripples through the whole club. How dare they kill Phil!!!! Jax arrives at the warehouse and find his guys all chopped up and hands on their jacket. All because Jax said hands off on his crew. Jax decides to destroy the Nazis with the KG9s and place them in the house and burn the house down. It an awesome set up in my opinion. That US Marshall cannot help but to visit with poor Otto again. He tries to get him to flip on Clay. Otto uses the shank and stabs the Marshall. I must admit I did do a little dance. End Sequence: Otto slices the marshal's neck and is killed by the guards. Tara is treating Unser. 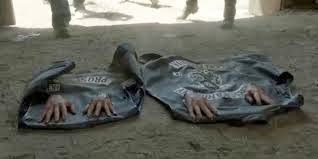 SAMCRO burns the bodies of the dead crew members. Niro and Gemma are putting the boys to bed. The DA comes in and checks the body of the Marshall. My Thoughts: Geez these hour and a half long shows are going to do me in. I swear if they go to three hour long shows I am done. Me and my DVR cannot handle it! Jax needs not to trust Pope Jr., he is running a whole different type of game. 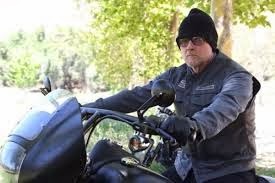 I think Jax is walking a dangerous line as he already lost one VP and he is pushing it to the point that he may lose another with Chibs. He is so determined to save the club he might end up having to destroy it and rebuild it to make it better. The love between Niro and Gemma is good. I believe it helps make Gemma a better person but she needs to learn some boundaries. I appreciate that Tara is handling her business when it comes to her kids. She is an old lady and does what needs to be handle. This mess with the Irish just went to a whole other level. 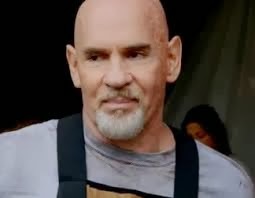 The death of Phil was horrible and just disrespectful. How dare they do that to the MC.? Another great episode, I wonder what is next for the club.